Ayvaz U-Flex and V-Flex assemblies provide highly flexible and reliable connection features for fire protection lines, seismic security areas, dilatation points and industrial applications. These assemblies are used to absorb the movements caused by the potential break downs and depressions especially where the seismic movements may cause hazardous results. Ayvaz U-Flex and V-Flex assemblies that are manufactured with FM certificate prevent the structural deformations such as cracks and break downs of rigid connections by the required flexibility they provide and offer easy, safe and reliable installation features for the users. U-flex type connection absorbs all of the 3D Deflection and angular movements. 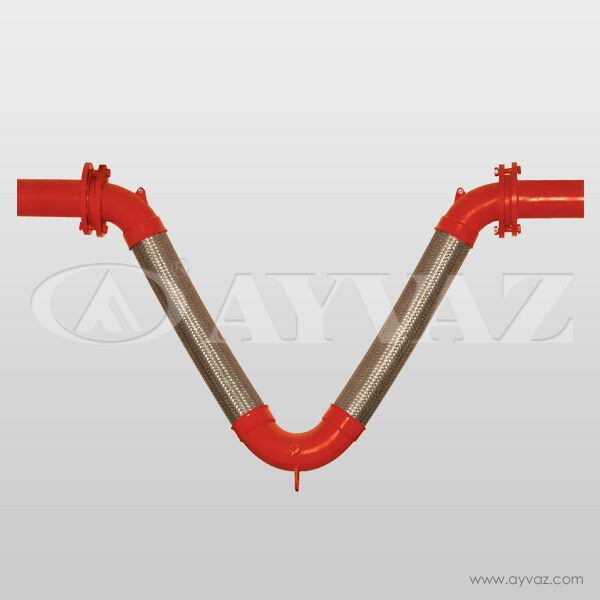 This type connection protects plumbing system with its flexible constriction and doesn’t need wide area with its short length. Also it is produced according to FM certificate. 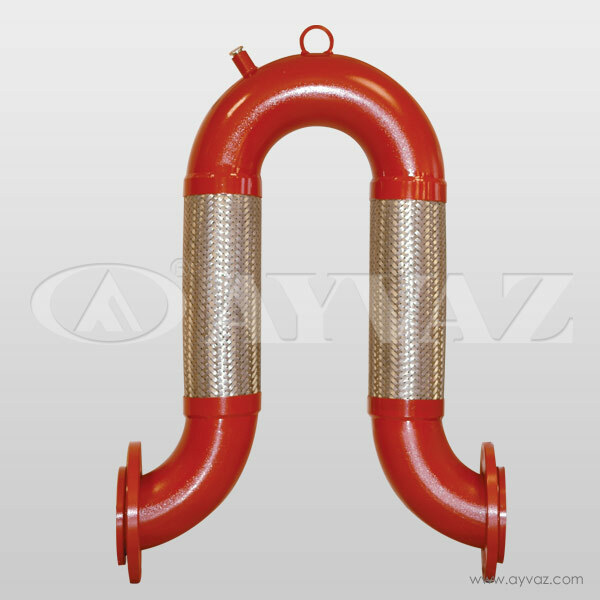 For this reason, Ayvaz Gimbal type expansion joint is the best choice for fire protection system. Dilatation points of fluid systems.